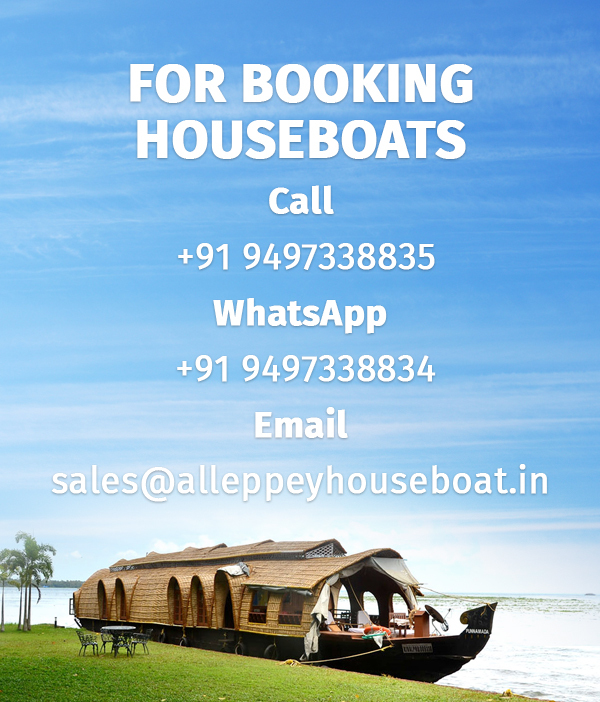 One-bedroom Houseboats in Alleppey are ideal for couples especially honeymooners. Experience the beautiful waters as the boat glides along the many interlinked canals and lakes. The one-bedroom houseboat ensures your privacy is not breached while you make memories that will last you a lifetime. They are available in Deluxe, Premium and Luxury categories with a bedroom, attached bathroom, living area, kitchen and sometimes with an upper deck. The food is provided onboard and is usually traditional Kerala cuisine prepared by the chef on the crew. Enjoy your next vacation in the lap of mother nature in “Venice of the east” and explore its backwaters on a luxurious cruise aboard a houseboat in Alleppey.